An American meteorologist and the first Director of the National Oceanic and Atmospheric Administration's Geophysical Fluid Dynamics Laboratory, he attended Stuyvesant High School for Math and Science in Manhattan. When he expressed an interest in going to college, the family had a meeting in which they discussed the possibility. His brothers prevailed in their view that he had great promise and deserved the opportunity to go to college. Aided by the G. I. Bill, he went on to earn his BS (1947), MS (1948), and PhD (1953) at New York University. In the middle of his sophomore year at NYU, he entered the Air Force and joined an elite group of cadet recruits chosen for their talents in mathematics and physics. Those talents led him to be selected for the Air Force Meteorology Program. He and other recruits were then sent to Brown University to study mathematics and physics for six months. He was then sent to the Massachusetts Institute of Technology to learn dynamical meteorology. His instructor was Ed Lorenz, who later pioneered the mathematical theory of deterministic chaos. During the war he flew in the nose of bombers as a weather observer, making weather forecasts based on visible factors such as the estimated size of waves, and the observed air temperature and wind velocity at the plane’s altitude. Following the war, he concluded his studies. He originally aspired to be a naval architect, but was not admitted to the Webb Institute. He then turned to meteorology as a career and educational focus. As a doctoral student, while serving the remainder of his army commitment, he attended a lecture on weather forecasting conducted by Jule Charney, and asked a series of pointed questions during the question-and-answer session following the talk. Charney, a prominent atmospheric scientist, invited him to the Princeton, NJ Institute for Advanced Study to examine the possible predictability of large-scale motions in the middle troposphere (the lower part of the atmosphere) using the new electronic computer being designed by John von Neumann. In April 1950, he participated in a major milestone of modern meteorology; together with Ragnar Fjortoft, John Freeman and George Platzman, he worked with Charney to solve Charney’s simplest equations on the Electronic Numerical Integrator and Computer (ENIAC). Von Neumann’s new Princeton computer had been delayed so arrangements were made with the Army to use its computer at Aberdeen, Maryland. The results were realistic enough to demonstrate that weather prediction by numerical process was a promising prospect. After the ENIAC work, he moved to the Institute for Advanced Study to work with Charney and von Neumann on the development of a radical new approach to weather forecasting that employed the new technology of the computer. Before the advent of computers in the late 1940s, weather forecasting was very crude. The American Meteorological Society and its leaders, most of whom taught in universities, still aspired to turn meteorology into a professional discipline given the same respect accorded engineering and the physical sciences. At the Institute for Advanced Study, he worked with Charney to develop a new approach called numerical weather prediction. This approach relied on data collected from weather balloons. The data were then fed into computers and subjected to the laws of physics, enabling forecasts of how turbulence, water, heat, and other factors interacted to produce weather patterns. In his doctoral dissertation, conducted at NYU under the direction of Bernhard Haurwitz, he developed a new theory for how heat sources and sinks in midlatitudes, created by the thermal contrast between land and oceans, disturbed the path of the jet stream. This theory provided one of the first applications of Jule Charney's remarkable simplification of the equations of motion for the atmosphere, now known as quasi-gesotrophic theory. This work benefited greatly from interactions with Charney at the Institute for Advanced Study. This theory has been elaborated over the years to provide numerous insights into the maintenance of the climate in midlatitudes and the interaction between the tropics and midlatitudes. Following his apprenticeship and work with von Neumann and Charney, in 1953, at age 29, he accepted a position at the U.S. Weather Bureau and was among the pioneers of the Joint Numerical Weather Prediction Unit. In 1955, the U.S. Weather Bureau created a General Circulation Research Section under his direction. 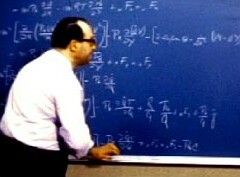 He felt that his charge was to continue with the final step of the von Neumann/Charney computer modeling program: a three-dimensional, global, primitive-equation general circulation model of the atmosphere. The General Circulation Research Section was initially located in Suitland, Maryland, near the Weather Bureau's JNWP unit. The section moved to Washington, D.C. and was renamed the General Circulation Research Laboratory in 1959 and then renamed again as the Geophysical Fluid Dynamics Laboratory in 1963. The lab moved to its current home at Princeton University in 1968. He continued to direct the lab until his retirement in January, 1983. His key insight was that the increasing power of computers would allow one to move beyond simulating the evolution of the atmosphere for a few days, as in weather prediction, and move toward the simulation of the Earth's climate. The intention of such simulations is not to predict the detailed evolution of the weather, but by integrating the equations of motion, thermodynamics, and radiative transfer for long enough time periods to simulate the statistics of the weather—the climate—enabling one to study how these statistics were controlled by the atmospheric composition, the character of the Earth's surface, and the circulation of the oceans. He was among the earliest researchers who sought to exploit new methods of numerical weather prediction to extend forecasting past one or two days. He published a seminal paper in 1963 on his research using primitive equations of atmospheric dynamics to simulate the atmosphere’s circulation. This paper fundamentally changed the approach to modeling climate. He earned fame for his ability to secure the world's fastest computers for his laboratory time and time again. The year GFDL moved to Princeton, he was named a visiting lecturer with the rank of Professor in Geological and Geophysical Sciences at the University. He helped develop the Program in Atmospheric and Oceanic Sciences, a doctoral program in the Department of Geosciences that collaborates closely with the GFDL. Following his retirement as director of the GFDL in 1983, he served as a visiting Senior Fellow in Atmospheric and Oceanic Sciences at Princeton until 1998.